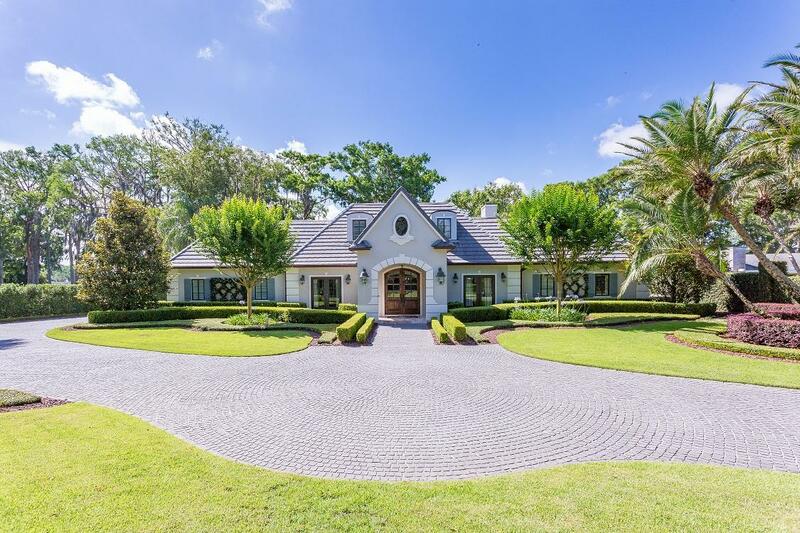 Situated on the north shore of Lake Maitland, Florida this home was extensively remodeled in 2013 by Posada Custom Homes. 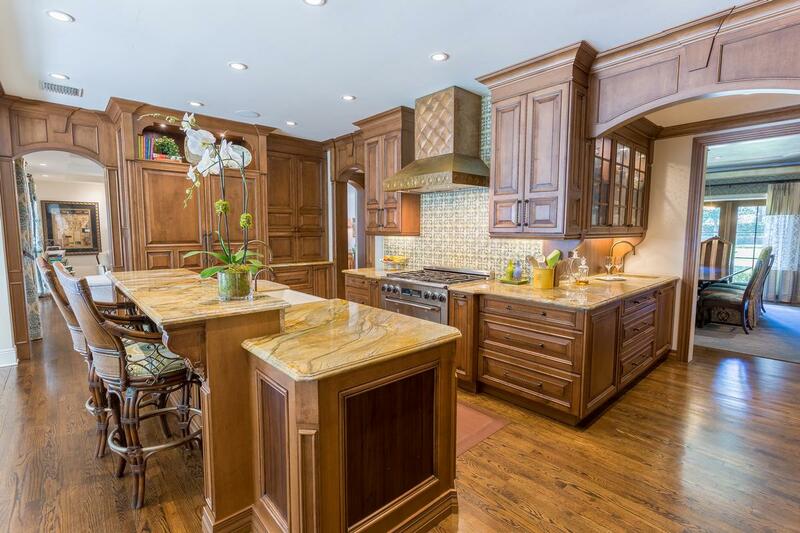 The home features a beautiful well-equipped chef’s kitchen with top of the line appliances. 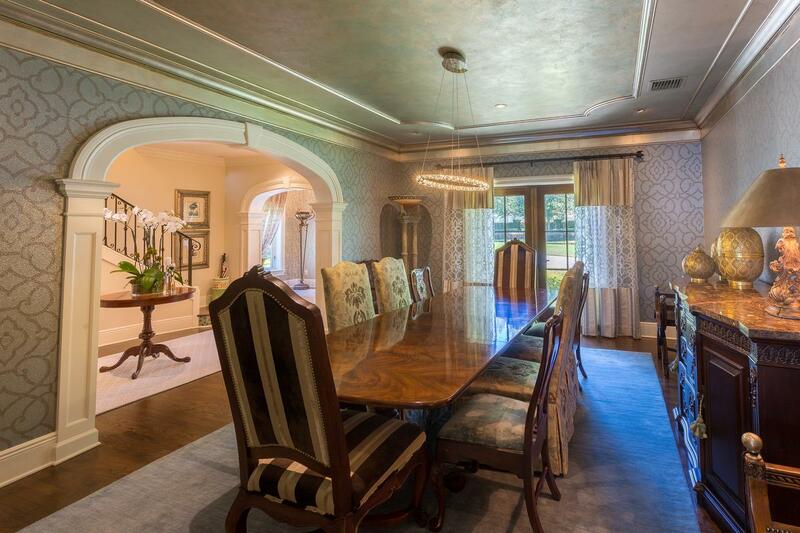 The alluring dining room is adorned with glass embedded wallpaper that shimmers in the light. 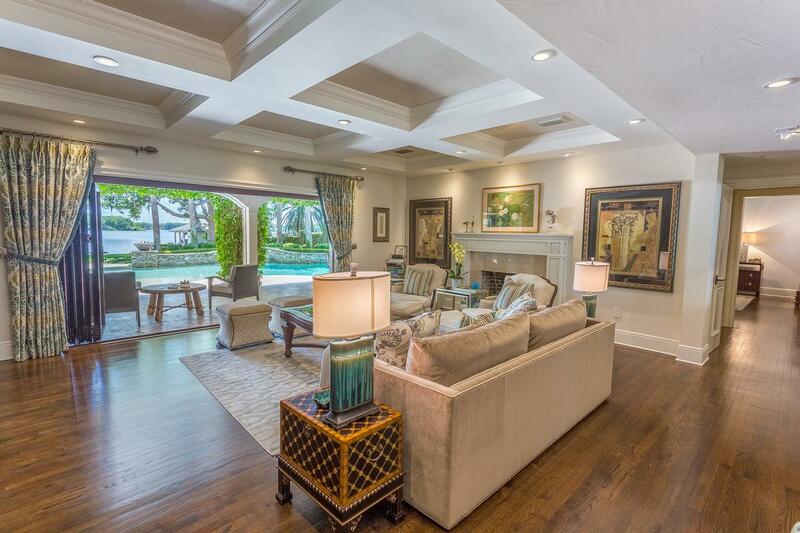 There is a beautifully appointed downstairs office, and an inviting family room include Venetian plaster walls, tray ceiling, and retractable Nano doors opening onto a covered porch. A downstairs master suite with lake views and luxurious marble master bathroom. Three spacious bedrooms and two full bathrooms upstairs with bonus room and outside balcony with lake views. Currently, the second bedroom is fully equipped for an exercise room. The fourth bedroom has a sitting area, en-suite bathroom, and lake views. 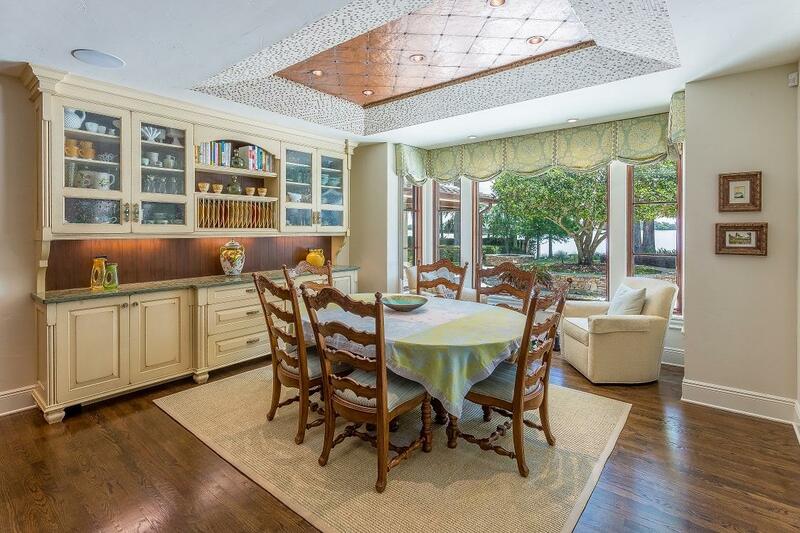 A large media/theater room includes a 120” screen, a kitchenette, plus storage. There is also a stunning guest house with kitchen, full bathroom, and gas fireplace. Other features include up/down laundry rooms, wood floors, central vacuum system throughout, security system with cameras and a Savant home automation system. 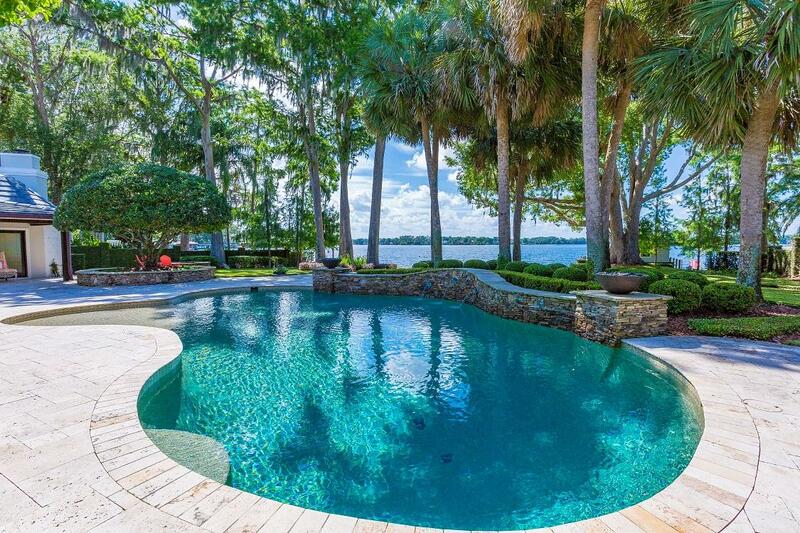 The surrounding patio area boasts travertine tiles, fire pit, fountains. 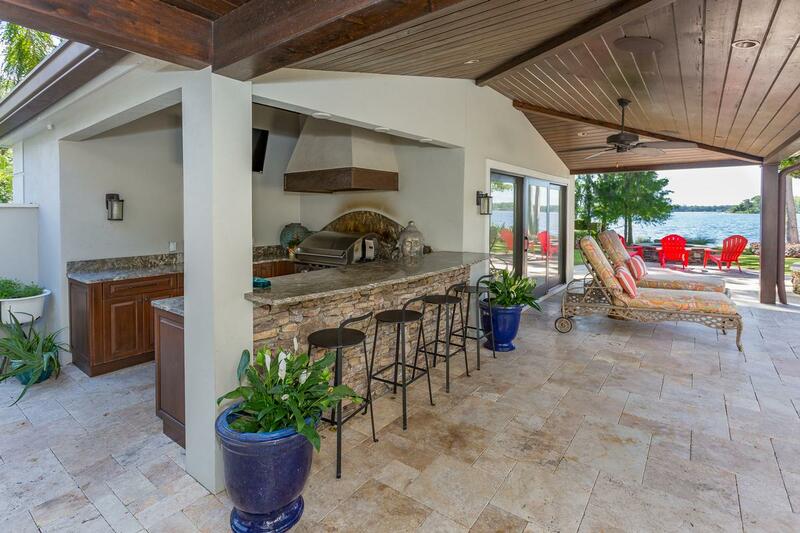 A covered patio has Phantom screens, outdoor shower, and surround sound as well as a high-end outdoor kitchen for the ultimate in outdoor living. 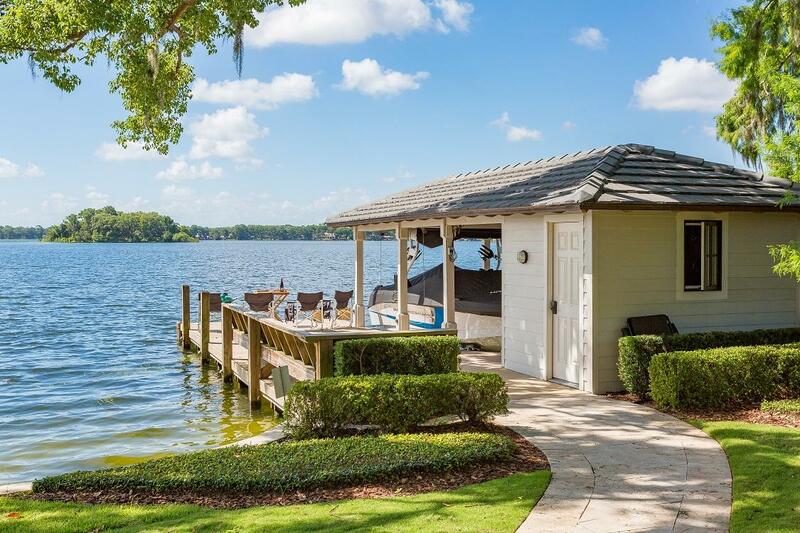 The boathouse features boat lift, jet ski dock, refrigerator, and storage room. 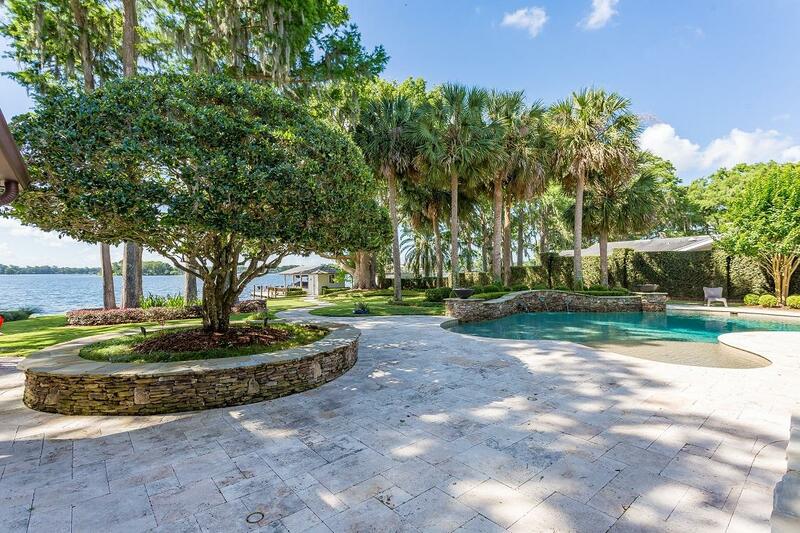 This 0.8-acre property has a concrete 1 ft seawall with a gated front entrance and cobble-stone driveway. 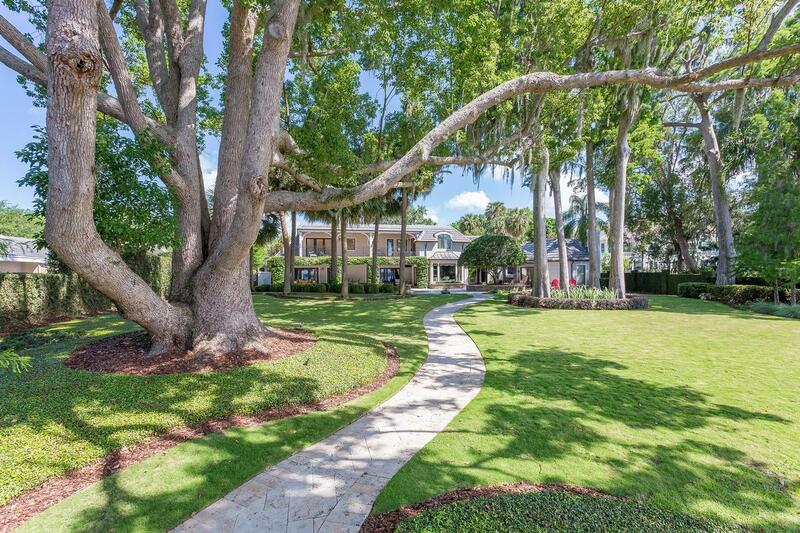 It is listed for $3.995 million with Fannie Hillman and Associates, an affiliate of Luxury Portfolio International.